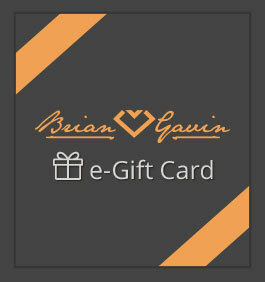 The Brian Gavin E-Gift Card is a thoughtful way to show someone you care and it allows you to share your Brian Gavin shopping experience with others. It is quick, easy and always appreciated. It will be emailed to the recipient within 24 hours after payment has been received and expires 1 year from date of issue.